The Leadership Group is made up of members that contribute annually to the project, along with representatives from the Fedora Community at large who are particularly committed to the Project. The Community Liaison is someone from a member institution who has been chosen to represent their organization for the purpose of important communications. For example, when an institution is asked to vote in a project governance election, the Community Liaison will be the designated individual who will cast the vote, based on a consultation with local project stakeholders. The Community Liaison is someone we expect to have an awareness of the day to day status of the project so that they can help their institution make informed decisions. DuraSpace members are granted governance rights commensurate with their financial allocation to the project. 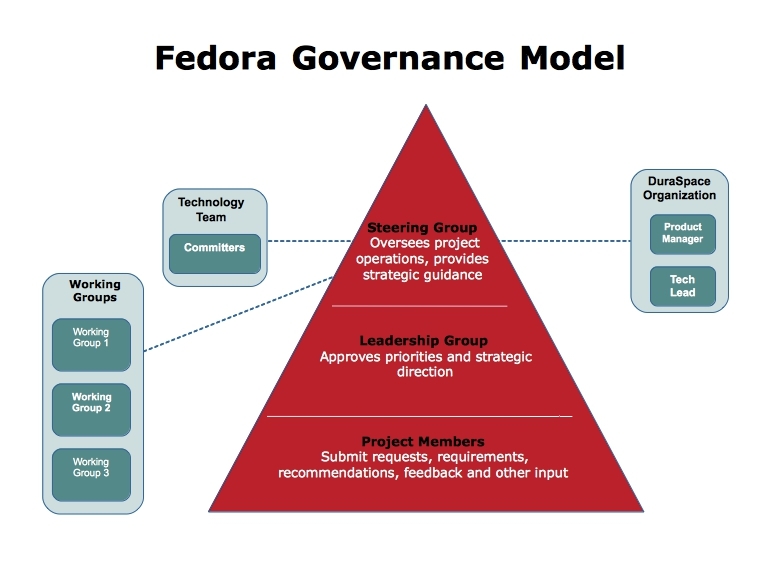 The following table shows the governance-related benefits for Fedora contributors. To view other DuraSpace membership benefits, https://duraspace.org/membership/value-and-benefits/.